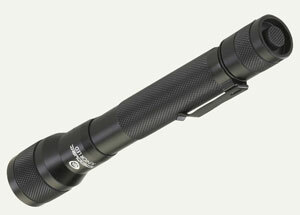 SL-71500 Streamlight Jr. Led. Black, push button tailcap, water resistant. LED 85 lumens, 2 AA alkaline batteries included. Flashlight Center Grip 3/8 in. 2 in.